Rosice (German, Rossitz), a small market town and manorial estate ten miles west of Brno, Moravia (49° 10′ 0″ N, 16° 23′ 0″ E). In the 16th century it belonged successively to the noble lords of Pernstein (1522-1549), of Lipa (1549-1560), and of Zierotin (1560-1628). In 1527 Anabaptists under the leadership of Gabriel Ascherham, of Silesia, began to settle there, and in 1529 started a communal Bruderhof in Rossitz where they flourished until they were expelled in 1535. Then they returned to Silesia. In 1527-1529 Philip Plener of Baden, and his group, known as the Philippites, also lived in Rossitz together with the Gabrielites, but they separated later and set up their own Bruderhof in Auspitz, 12 miles east of Brno. The third group, the Tyroleans, since 1533 called Hutterites, settled in Auspitz and Austerlitz but not at once in Rossitz. In 1533 a serious conflict arose between the Hutterites and the two other groups. Ascherham thereupon called a conference of all three groups to Rossitz, which however ended negatively in a complete break of fellowship between these groups, at least for the time being. After the exodus of the Gabrielites and the cessation of persecution about 1536-1537, the Hutterites began to settle in Rossitz under the tolerant lords. This Rossitz Bruderhof then existed uninterruptedly until 1622, when Anabaptists were expelled completely from all of Moravia. According to Beck, Bohemian Brethren or Piccards had also settled in Rossitz, but nothing is known about contacts between Hutterites and Bohemian Brethren. This may be due to two reasons—the language barriers (German and Czech) and the differing genius of the two groups. Beck, Josef. Die Geschichts-Bücher der Wiedertäufer in Oesterreich-Ungarn. Vienna, 1883; reprinted Nieuwkoop: De Graaf, 1967: 69. Hege, Christian and Christian Neff. Mennonitisches Lexikon, 4 vols. Frankfurt & Weierhof: Hege; Karlsruhe: Schneider, 1913-1967: v. III, 549. Friedmann, Robert. "Rosice (Jihomoravský kraj, Czech Republic)." Global Anabaptist Mennonite Encyclopedia Online. 1959. Web. 19 Apr 2019. http://gameo.org/index.php?title=Rosice_(Jihomoravsk%C3%BD_kraj,_Czech_Republic)&oldid=146193. Friedmann, Robert. (1959). Rosice (Jihomoravský kraj, Czech Republic). Global Anabaptist Mennonite Encyclopedia Online. 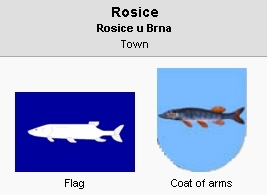 Retrieved 19 April 2019, from http://gameo.org/index.php?title=Rosice_(Jihomoravsk%C3%BD_kraj,_Czech_Republic)&oldid=146193. Adapted by permission of Herald Press, Harrisonburg, Virginia, from Mennonite Encyclopedia, Vol. 4, p. 362. All rights reserved.